French cuisine is a lot of things – rich, subtle, and rustic come fast to mind – but meals with any sort of heat is not high on the list. That is except for dishes starring the French native Espelette pepper. Also known as piment d’Espelette, this chili is a common spice of the Basque region of France, and while not a scorcher, it has a delicious subtle heat, slightly smoky and slightly citrusy. It’s so essential to the Basque region and its cuisine that it’s been given – like some wines and cheeses – protective AOC certification. 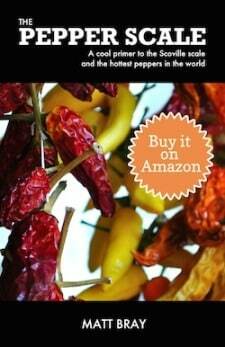 How hot are Espellete peppers? Espelette peppers range from 400 to 4,000 Scoville heat units on the pepper scale, which is mainly mild, but it bridges the gap into a low-medium heat range. They can reach low-level jalapeño heat, but they can range down to 20 times milder. 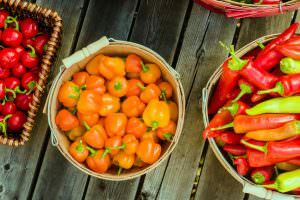 Typically their spiciness is more in the range between the mild pimento (100 to 500 SHU) and poblano chilies (1,000 o 1,500 SHU). So it’s not big heat, but since it’s often paired against subtle flavors in French cuisine, it’s the perfect amount to add impact without overtaking a dish. Espellete chilies are larger than you may expect – six to seven inches in length, conical and slightly curved in shape. 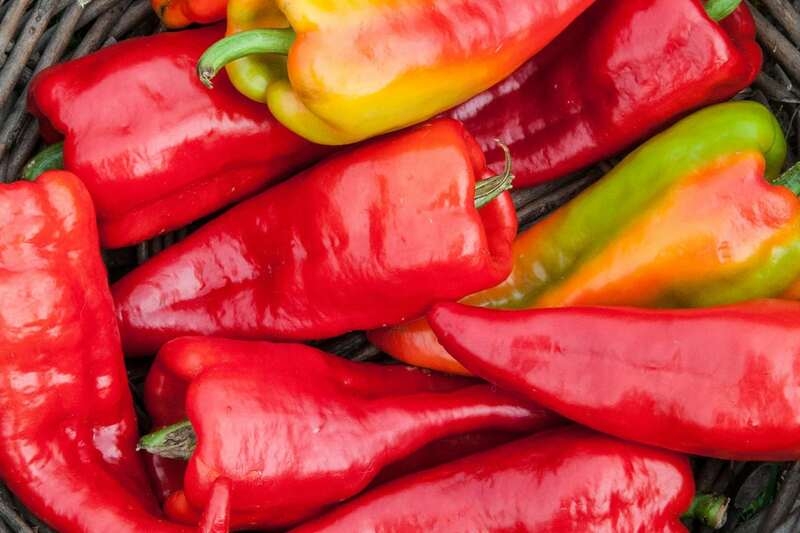 In terms of color, like most other peppers, they age from green to a rich red. As they dry, they take on a rustic deep reddish-brown. 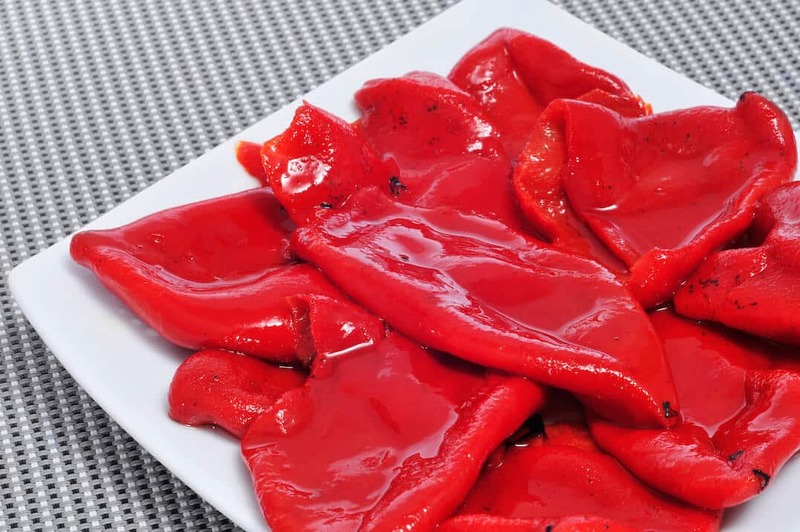 But unless you are growing them yourself, eating in an authentic French restaurant, or traveling in the Basque region, you may not come across this pepper fresh or in whole dried form. 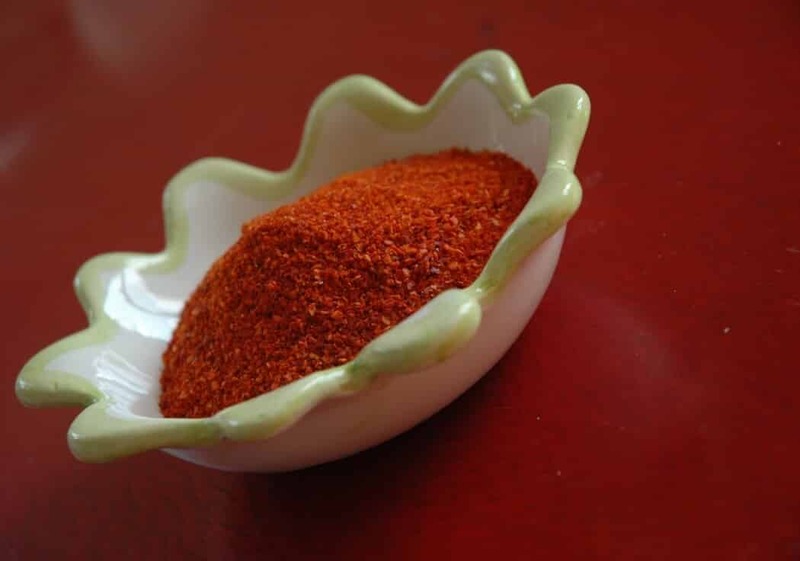 It’s typically exported as a mild and smoky paprika-like powder, rustic red in color and labelled Piment d’ Espelette. What do Espellete peppers taste like? Are they that sweet? Fresh there’s equal measure sweet and smoky, but dried the subtle smoke flavors tend to intensify. It’s a fruity sweetness, like what you get from a peach. 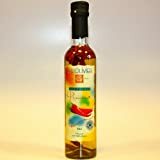 The flavor profile, though, is subtle, so it’s a terrific chili to pair with all sorts of meals – from main courses to desserts. 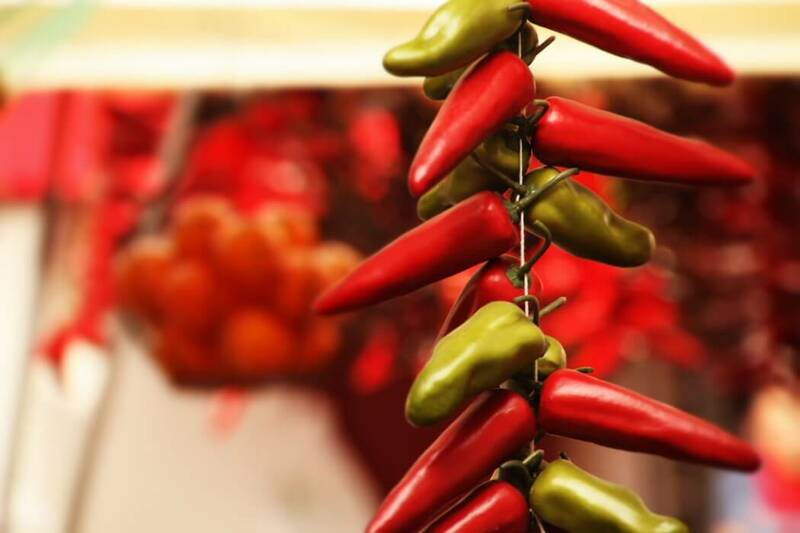 What is AOC certification, and why the Espelette pepper? AOC stands for Appellation d’origine contrôlée which translates to “controlled designation of origin”. It’s the certification given to specific regional wines, cheeses, and foods in France to protect their quality, consistency, and overall brand name. Like champagne can technically only be made in Champagne, France, Espelette peppers are only named so if they are grown in the Espelette region of France. Why the protection? These chilies are critical to the Espelette region both culturally and economically. The food is critical component of Basque cuisine – often rivaling black pepper in overall use. And the region relies on the sales of this chili both locally and abroad. It’s such an important food to the region that it has it’s own festival that draws 20,000+ visitors annually. The Piment d’Espelette Festival occurs every October, and it brings with it a unique urban beauty. The homes of the region are covered with ristras of drying Espelette peppers creating a colorful dramatic effect for the global crowd the festival attracts. How do you use Espellete peppers? Espelette peppers are essential to authentic Basque cuisine, so expect to see it as a critical ingredient in those and other French recipes. 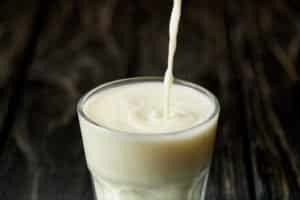 While delicious fresh, it’s in its powdered form where you’ll discover its main uses. Powder piment d’Espelette is much like a mild paprika – similar in heat with a smoky sweetness – and its use cases are also similar. 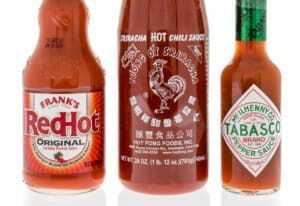 Try it sprinkled on salads or deviled eggs, or use it as a meat rub. Its sweetness also pairs perfectly with dark chocolate and many fruits, making Espelette pepper an excellent dessert spice for a little extra kick. Where can you buy Espelette peppers? For authentic fresh Espelette, you’ll likely need to travel to the source region during chili harvest season. Dried piment d’Espelette, though, is widely available in gourmet shops, on the shelves of many grocery stores, and via online spice vendors. The Espelette pepper is one of those extra special chilies that helps define a region, yet is surprisingly widely available. If you’re exploring Basque cuisine, having a jar handy in your kitchen is a must. Or simply try it the next time you’re in the need for paprika. The smoky sweetness might be the perfect unique twist to your dish.